The Lansing Skating Club is dedicated to providing a safe, supportive environment that allows skaters of all ages and levels to achieve their goals. We offer year-round on and off-ice developmental programs as well as coaching at all levels for freestyle, moves in the field, dance, and Learn to Skate. 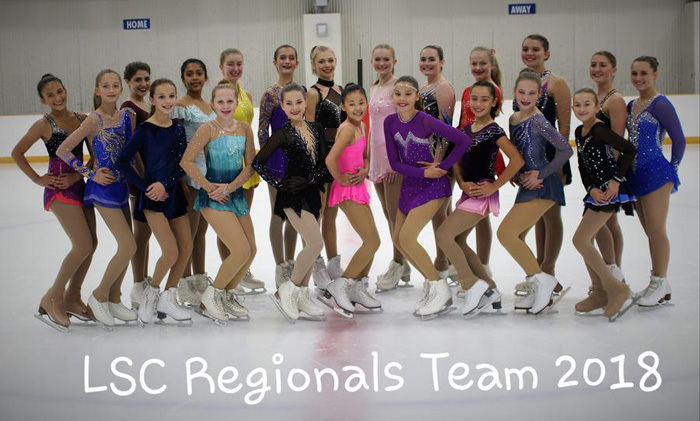 The Club provides a variety of opportunities for skaters that include: competitions, test sessions, ice shows, exhibitions, clinics, and group social events to enhance camaraderie among our members. Whether you are a beginner, an advanced competitor, or a supporter of the figure skating community, the Lansing Skating Club welcomes you! I am attaching the original email below with all of the information you need, and the EntryEeze link. Should be a lot of fun, and we hope to see you there! If you have already responded, thank you! Don't forget to send photos to Kirsten! The Lansing Skating Club cordially invites you and your family to the Annual Lansing Skating Club Banquet on Sunday, April 14, 2019. This is a very special day in the life of our Club, and we strongly encourage everyone to attend!! We will eat lunch upon arrival at 12:00 p.m., have a short meeting, vote on skater awards, recognize our skaters' accomplishments over the previous year by presenting their pins, and enjoy Kirsten’s fabulous slideshow, all in the lovely Lake Huron Room of the MSU Union, located at 49 Abbot Road in East Lansing. With regard to the Slideshow, Kirsten relies on all of us to provide pictures. Please send Kirsten the pictures from the past year that you would like included in the slideshow no later than April 8th. Seniors, please also send pictures from your entire skating journey, from the time you started, to Kirsten for inclusion in the slideshow. Kirsten’s email address is kirstenmz@comcast.net. After lunch, the skaters will enjoy a scavenger hunt with prizes! This is a fun, casual event, and a great opportunity to spend time with our skating family and get to know some folks you haven't yet met! Tickets are $15/person. Please purchase your tickets by April 9, 2019. Your ticket purchase serves as your response and enables us to know how much food to order for this delightful event. Click on Access my Account, Log in, Click on Merchandise. You will see 2018 Annual Banquet Tickets listed as a Merchandise item. Any problems with this system, text Sally Whitbeck 231-894-9731 for help. Any questions? Email Ellen Armentrout: glenellen@comcast.net. Congrats to Palmy Lamsam on her Level 9 National Championship! Don't miss this incredible experience! The 2019 Stars on Ice Tour is coming to Chicago! Upcoming events hosted by the Lansing Skating Club. Below is some information that I hope is helpful. May 23rd - We are hosting a test session for all levels, including dance.